Scientists using ice-penetrating radar data collected by NASA’s Operation IceBridge and earlier airborne campaigns have built the first-ever comprehensive map of layers deep inside the Greenland Ice Sheet. Peering into the thousands of frozen layers inside Greenland’s ice sheet is like looking back in time. Each layer provides a record of what Earth’s climate was like at the dawn of civilization, or during the last ice age, or during an ancient period of warmth similar to the one we experience today. Credit: NASA Goddard's Scientific Visualization Studio. Download this video in HD formats from NASA Goddard's Scientific Visualization Studio. 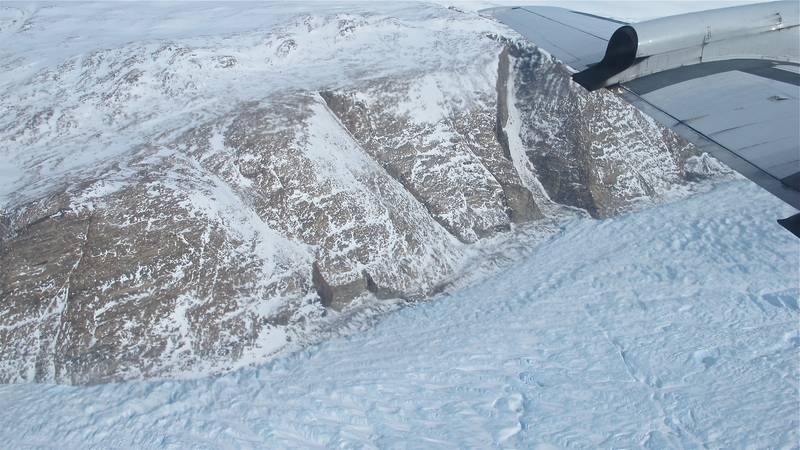 “IceBridge surveyed previously unexplored parts of the Greenland Ice Sheet and did it using state-of-the-art CReSIS radars,” said study co-author, Mark Fahnestock, a glaciologist from the Geophysical Institute at University of Alaska Fairbanks and IceBridge science team member. CReSIS is the Center for Remote Sensing of Ice Sheets, a National Science Foundation Science and Technology Center headquartered at the University of Kansas in Lawrence, Kansas. IceBridge’s flight lines often intersect ice core sites where other scientists have analyzed the ice’s chemical composition to map and date layers in the ice. These core data provide a reference for radar measurements and provide a way to calculate how much ice from a given climate period exists across the ice sheet, something known as an age volume. Scientists are interested in knowing more about ice from the Eemian period, a time from 115,000 to 130,000 years ago that was roughly as warm as today. This new age volume provides the first rough estimate of where Eemian ice may remain. Comparing this age volume to simple computer models helped the study’s team better understand the ice sheet’s history. Differences in the mapped and modeled age volumes point to past changes in ice flow or processes like melting at the ice sheet’s base. This information will be helpful for evaluating the more sophisticated ice sheet models that are crucial for projecting Greenland’s future contribution to sea-level rise. “Prior to this study, a good ice-sheet model was one that got its present thickness and surface speed right. Now, they’ll also be able to work on getting its history right, which is important because ice sheets have very long memories,” said MacGregor. This study was published online on Jan. 16, 2015, in Journal of Geophysical Research Earth Surface. It was a collaboration between scientists at UTIG, UAF-GI, CReSIS and the Dept. of Earth System Science at University of California, Irvine. It was supported by NASA’s Operation IceBridge and the National Science Foundation’s Arctic Natural Sciences. IceBridge, a six-year NASA mission, is the largest airborne survey of Earth's polar ice ever flown. It will yield an unprecedented three-dimensional view of Arctic and Antarctic ice sheets, ice shelves and sea ice. Learn more.